Clipperton Island is an atoll in the middle of the East Pacific Ocean. At just 9 square kilometres in the 165,200,000 square kilometres of the Pacific Ocean, it is a needle in a haystack; a drop in the ocean; a speck on the surface of the Earth. Like many other islands in the majesty of the Pacific, its area is surrounded by a perimeter of white sand. Because of its tropical latitude, seaward of the beach on all sides are beautiful and colourful coral reefs. Inland from the surf, lines of jutting exposed rock interspersed with low scrub vegetation dominate. Off to one side, a lone mass of granite that has resisted the wind and salt for millennia peaks from the dirt, creating a lopsided perspective to the atoll. Palm trees are the only source of shade. Strangely, a large freshwater lake exists in the centre of the Island. Clipperton is dominated by birds and crabs… and rats. 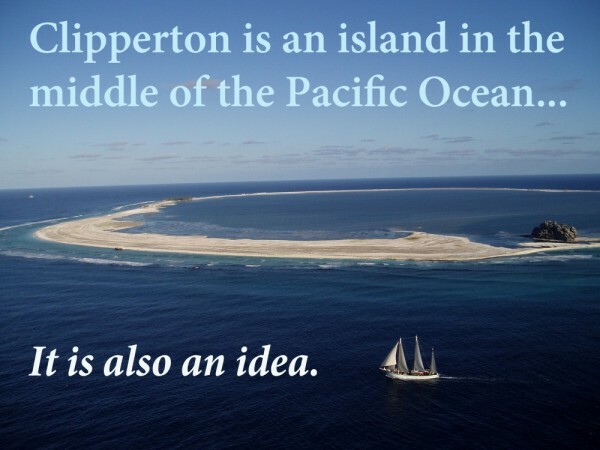 Clipperton Island is not just an atoll. It is also a concept; an idea; an example of space that reflects the world in the 21st century. It was here, in March 2012, that twenty-two expeditionaries from nine countries journeyed, setting sail from Mexico. They were artists and scientists, doctors and dancers, historians and entrepreneurs. All were explorers. What they found on Clipperton was, in a microcosm, a picture of the Earth. Here is a place with freshwater, saltwater, dirt, trees and sand far removed from the major continents, surrounded on all sides by thousands of kilometres of ocean, where nature should be preserved in all its grace and biodiversity. Yet, it is not. Discarded, single-use plastic items carried from the Americas and beyond on the conveyor-belts of ocean currents cover the beaches. These items find their way into the guts of seabirds and other creatures. They litter the nests. Remnants of war exist everywhere. A rusted tank sits in the sand and swell, piles of shells are abandoned in the ground, and rifles lie beneath the palm trees. These items have come during the Second World War, when the United States prized Clipperton’s strategic value. Since then, the atoll has been a cause of conflict between France and Mexico, who both vie for its possession. Its waters are invaluable to each country’s fishing industry, which seeks to make profit from its abundant marine life. Consequently, its subaquatic ecosystems are out of balance, mirroring from below the ecological destruction above caused by the introduction of rats. This is what The Clipperton Project has grown from. We live in an unprecedented time. No matter the space, whether it is an uninhabited and desolate island in the centre of an ocean or Dubai, it is affected by humanity. This is what drew Jon Bonfiglio, director of The Clipperton Project, and his team of twenty-two expeditionaries to the Island in March 2012. Now, exactly two years later in March 2014, The Clipperton Project sets its sails once more for another desolate and unforgiving space with a history of war and ecological destruction: the subantarctic island of South Georgia. An interdisciplinary voyage of art, science and exploration will take place here with a team of 14 from five countries. 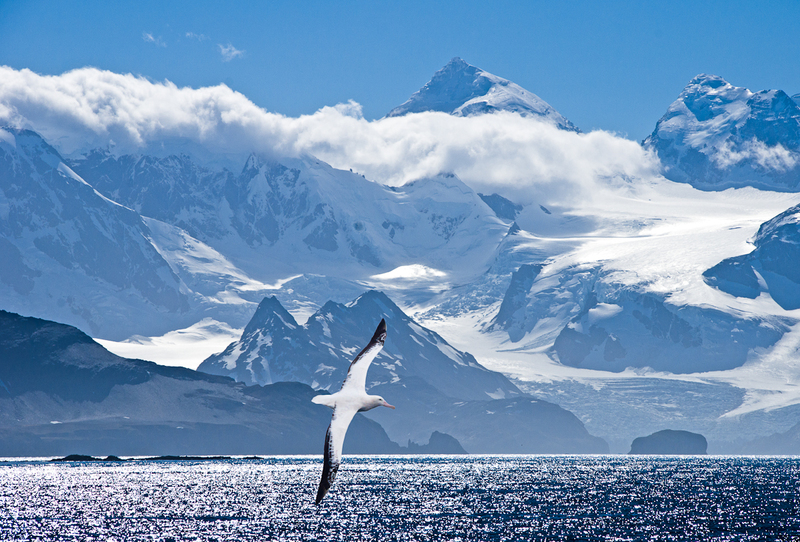 Instead of coral reefs and white sandy beaches speckled with coconuts, the expeditionaries will find themselves confronted by armies of elephant seals and penguins behind which an awesome background of mountain peaks and glaciers will exist. 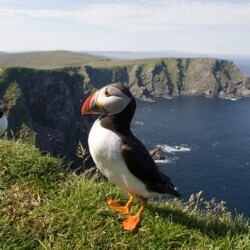 The team will carry out a comprehensive survey of plastics, led by long-time South Georgia scientist Gordon Liddle, in surrounding seas and in proximity to the breeding areas of seabirds. One such seabird is the Wandering Albatross, a unique species that is facing extinction in the coming decades due, in part, to plastic pollution. But the beauty of The Clipperton Project does not lie in one aim or goal of scientific research. Sure, scientific work will be achieved and papers will be published, but the project itself is so much more than just science. Its real power lies in how it positions its work in spaces like South Georgia, like Clipperton, within the global context to highlight some of the greatest issues of our time. Despite their obvious differences, unfortunate parallels are evident between Clipperton Island and South Georgia. Plastic pollution, over-fishing and introduced species have caused irreparable damage to this fragile ecosystem, and to none more than the Wandering Albatross. 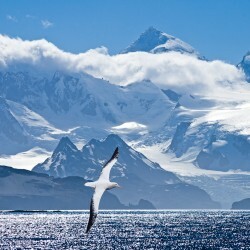 The thought that the Wandering Albatross could be removed from our planet before 2050 not only points to the devastating impacts that are being felt in a regional sense within the Southern Ocean and South Georgia, but also provides a distinct example of how humanity is impacting the global environment as a whole. Even in South Georgia, a place far removed from civilization and associated environmental problems, the actions of humanity extends its reach. This is where The Clipperton Project itself becomes a unique creature. For at its heart its aim is not to inform, but to engage. Through the exploration of remote and beautiful spaces, through the plight of flagship species like the Wandering Albatross, it brings to the forefront of people’s thoughts the incredible truth that no matter where on planet Earth, the actions of every one of us matter. 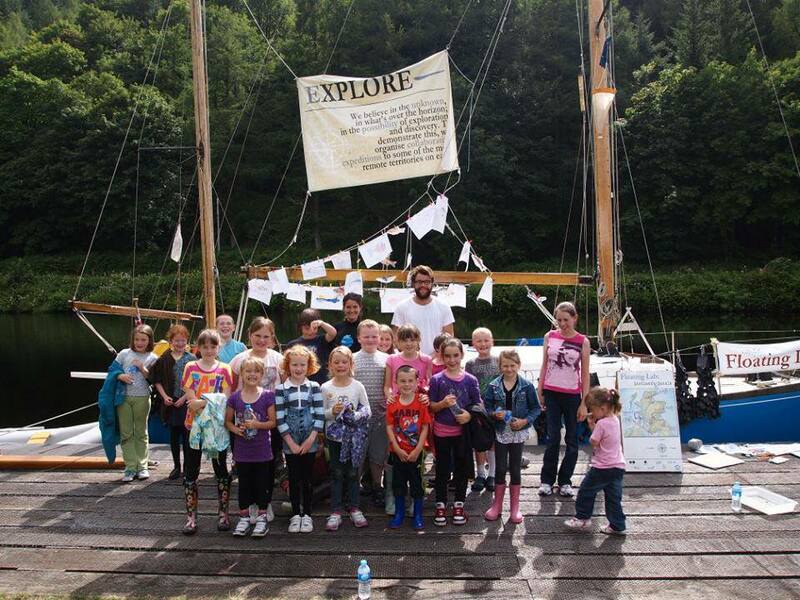 The Clipperton Project and its team of international scientists, explorers and artists work to engage communities wherever they go and in so doing empower people to become active citizens. The project has visited 26 countries and has accrued a direct audience of over 300,000 people through exhibitions, presentations, workshops and events. 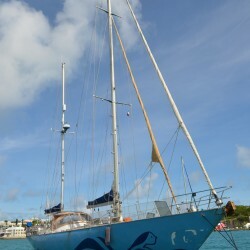 While keystone expeditions are undertaken to places like Clipperton and South Georgia, the aims of the project come to life within its Floating Laboratories. These journeys focus on communities, rather than remote areas, and bring together passionate expeditionaries from different professions and backgrounds for the purposes of public engagement and outreach. 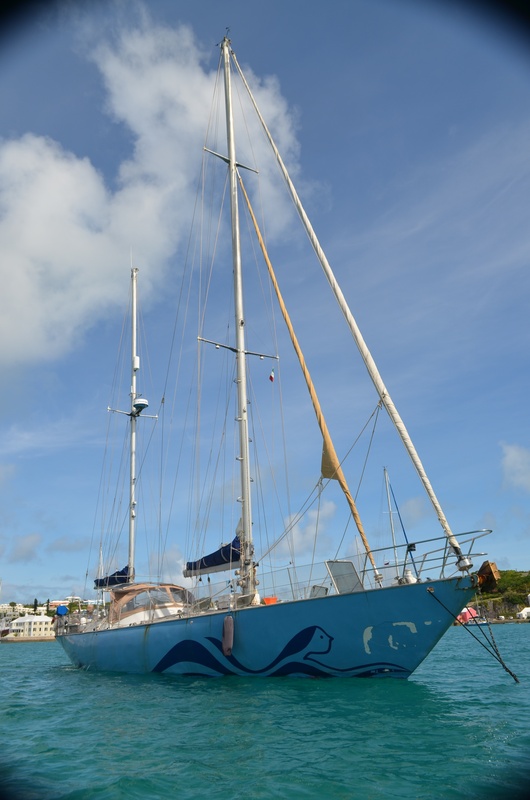 Although each Floating Laboratory has different themes depending on its geographic location, each pertains to address global issues within the context of the particular community it finds itself within, to construct positive outcomes for all. 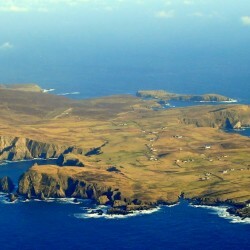 In 2014, The Clipperton Project not only sets its sights on South Georgia, but also on the other side of the Atlantic Ocean in the Northern Isles of Scotland. Running from May to September, this Floating Laboratory will cover Orkney, Fair Isle and the Shetland Islands. Plans are currently underway and are being finalised by Australian marine scientist Pearse Buchanan. But surely, one of the most liberating things about The Clipperton Project is its openness to new ideas, people and their directions. 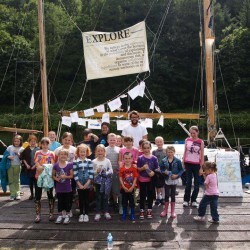 For more information about upcoming voyages and events around the world visit www.clippertonproject.com or write to info@theclippertonproject.com. Unlike its destinations, The Clipperton Project will never be an island. It welcomes all who wish to make a connection, both within themselves and with others. Also, to support The Clipperton Project’s upcoming multidisciplinary voyage to South Georgia please visit www.clippertonproject.causevox.com. 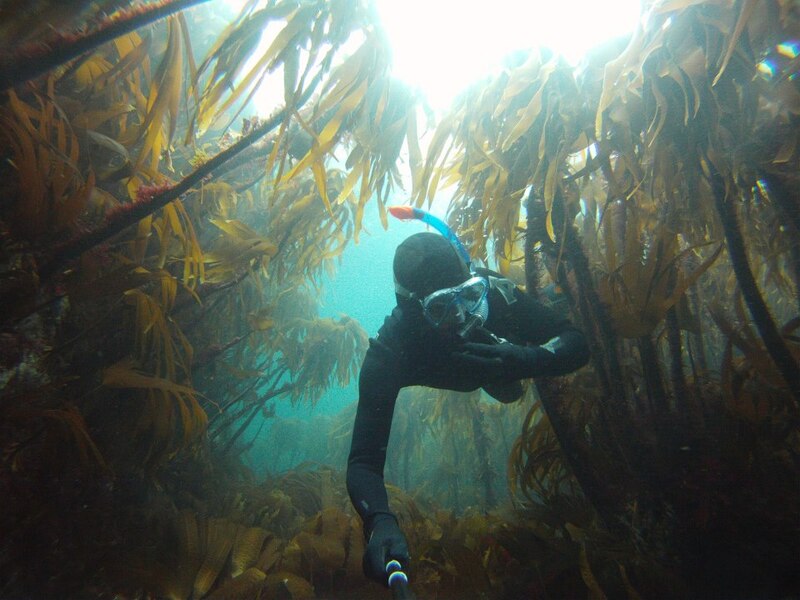 Pearse is a young Australian with a passion for the oceans. 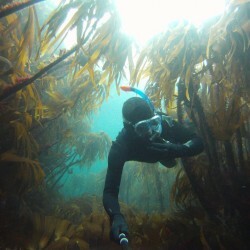 As a marine scientist he has been involved in many research projects, taking him across Australia, into Antarctica and now to Mexico, where he currently works for The Clipperton Project in planning scientific programmes, community partnerships and the logistics behind the organisation's expeditions. 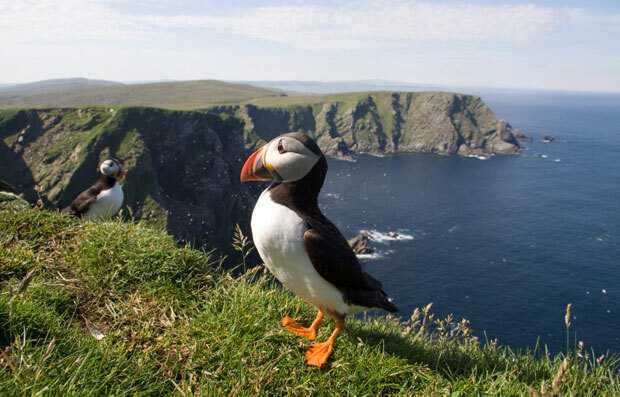 Pearse will be participating live in the Scottish Northern Isles Floating Laboratory this year, and as an avid diver, hopes to acquaint himself fully with the chilly northern waters.